With this article, I would like to propose a new idea for this game. I recently wrote a ticket to the admin staff about this topic, who suggested me sharing the idea with the rest of the community to get some feedback first. For this reason, I am writing this article so everyone can see it and comment on their opinion. Let me begin. My name is Alias12. I have been playing this game for 4 months on a row now, after coming back from being eDead. The reason why I returned, is that I find this game very interesting. Many people may prefer the war module and the ability to fight for their countries as the main enjoyment, but I like better the economy module. Being gone for so long, my account is not developed enough to be competitive in the war module, so the economy one is more challenging and helps me grow my account faster, by earning some additional income. However, as I have noticed, but as well as many of you may have said before, the economy module is not developed enough. Some may say that it is not complete yet. For this reason, I would like to propose an idea to eRepublik staff, regarding the improvement of the economy module. The next section will contain a lot of economic terms, so if you want, you can jump directly to the next section. One reason why the New World's economy does not work as intended is that inflation in the game is very high and unpredictable. As an example, I can bring the price of q1 houses, which were worth just 2500 currency each when I rejoined the game. Now, 4 months later, their price has skyrocketed by more than 100%, and they are trading close to 6000 currency. High inflation and high salaries ruin some of the features of the game. For example, even though there are 4 different industries you can work in, 1 of them is not profitable at all (air weapons industry), 2 of them are profitable only when you work as a manager (food and weapons industry, except working in q7 weapons factory) and only the remaining one is profitable to use it as the game is designed to. Also, since the number of players is limited (and not increasing anymore), the amount of labor/work tickets in a given day is fixed. So if the existing players want to create new companies like house and q7 weapon companies, where you can hire workers, they will face a labor shortage. As a consequence, they will have to offer higher salaries, increasing inflation even more. This inflation in the job market is then transmitted to the rest of the economy, especially house and q7 weapon prices. My idea is to introduce a new feature. Since 2019 is here and more and more jobs are being replaced by technology in real life, I think it is about time to introduce robo-workers also in the game. The coolest way in my opinion to do this is to create another market where you can buy the so-called robo-works. Their number should be limited, let's assume only 10'000 robo-workers for the entire New World. Their salary could be fixed, or they can be hired on auction. This is for the game developers to decide. Also, those workers can be specialized for different sectors (this would be a lot more cooler, also in my opinion) or they can be all standardized. With specialized robo-workers, I mean that there are different workers that can be hired for each industry. For example, there will be different types of robo-workers for producing food, weapons, houses and aircraft weapons. By differentiating between these workers, and the price paid for each of them, people may find it attractive to hire these type workers for all the industries of the game. That way, the production of each industry would increase and the prices would be less prone to inflation. The currency spent on hiring these workers will be taken off the game, so the supply of currency will be also controlled and not lead to higher inflation. Another cheap way to implement this idea (cheap in the sense of low developing costs and time) would be to sell work tickets on the market for gold or currency. Whenever the salaries on the market increased by a lot, players would turn to this market and buy more work tickets to be able to fulfill their consumption needs. Also, this idea would not affect the sales of tycoon packs materially, because I assume the majority of the players buy the pack for the 20% extra productivity bonus rather than the 150 extra work tickets. On the contrary, the increase in work tickets would increase the number of companies players own, because it would be easier for them to find workers and to make a profit. The more companies the players have, the higher the chances would be for them to buy tycoon packs to get an additional 20% productivity bonus and earn even more profits. 1. There is a shortage of workers in the market nowadays. This leads to high inflation in the job market (salaries are increasing constantly), which leads to increasing prices of all the products in the game. tickets with gold or currency and use them to work in their companies. Whatever idea is chosen, the number of extra labor supplied should be fixed. How big that number is, needs to be estimated by the admin staff. 3. The implementation of this idea will keep inflation in check, it will reduce prices, and will increase the total number of products manufactured. As a side effect, this will make the economic module of the game more balanced and I hope that players satisfaction will increase. Thank you for listening to my proposal. It is essential for everyone to read this article and provide their feedback if they want to. That is why I would like everyone reading this article to share it in their friends feed, MU feed, National feed, post it even in your player description if you want to. But please spread the word. If you like this idea as much as I do, please say so by writing it in the comment section and by voting this article. Let's show to the admins that this idea is well appreciated so that they can add it into the game. However, if you don't like this proposal, your feedback is also welcomed. If it is possible, try to write the reasons why do you think so. Maybe we can include your feedback as well. That will be very helpful for me, but I believe also for the admin staff. If you have any extra question, feel free to ask below, or you can PM in the game. Keeping CO's off while adding this would surely make things much more interesting! Another solution to the inflation would be to introduce WaM in housing/aircraft industries. -RoboEmployees seem very unrealistic for this type of game and also by Plato's ways of thought if they were to be introduced, guess who would take them all ?? -Selling work tickets would be a nice idea. I dont like the idea . This does not address the real problem :players who propose work tickets as better than wam clicks. the problem we are having is that 2 things are not really addressed. multi labourers (similar to your robo worker) and normal players working for cheap. they should take work tickets out of all resource production thus HRM and ARM and replace that with wam clicks. as to inflation it is usually correlated to sudden rises as you pointed out salaries kept on rising. perhaps countries could also vote on maximum salaries thus eliminating this inflation. being able to wam in house and aircraft industries could help the problem since everyone would build additional companies, but that would limit players' energy level to fight. If you have a q5 HRM company and produce HRM, currently you spend no energy to work it. If you would wam only, you would need to have 5 q5 HRM companies and spend 50 energy just to work. If you are a big house producer and have 100 of those companies, you would spend all your energy working and not fighting. That way you force the players to choose between either being a soldier or a businessman. Currently, you can do both of them, and I would like for it to be the case also in the future. Normal players working for cheap salaries is not a problem. It is their choice to do so, so I cannot comment on it. Regarding multi labourers, I don't understand what you mean, so if you can explain it a bit more it would be helpful. many players creates multiple accounts to create work tickets for them . this is one reason why prices sometimes are below profitable levels for other players. workers are usually problematic . There are already robo players in the battlefield and in economy. Just ask noCOlin and his allies. They know how to work with robo players. Funny how you guys always point colin as an example of a bot army while completely ignoring others such as Kris Tine's army, 70% of serbian accounts and many more which I am lazy to get into. I already know one in person. Althought it´s not been operating perfectly lately. But no worries, we´re working on it. You have written a nice in-depth analysis, where you addressed the core of the problem with the economy of eRepublik. Where I disagree with you is your idea about so called: "Robo-workers" - we don't need them, as we already have a Tycoon pack in place. Your assumption that the majority of the players buy the Tycoon pack only because of the 20% extra productivity bonus rather than the 150 extra work tickets - is completely wrong. I'm myself buying a Tycoon pack regularly, because this way I am able to produce my own houses and sell surpluses (houses) on the market for cc, which I am later converting into the gold in order to buy Energy Packs. I have also made a small test just after the New Year and hired real workers to test my profitability in the reality. As I was suspecting, it's just not sustainable, there is no profit and just enormous loss buy hiring people and paying them current salaries. Your idea about buying/selling working tickets on the market is a quite interesting, which could be implemented easily. Being able to work as a manager in own houses and rocket factories could also solve a part of the problem. Regarding the tycoon pack, I need to know some more info about your test. If you want you can even PM me about this. Buying a tycoon pack gives you several advantages. You get free gold, free workers and bonus productivity. So it is normal that you will earn more by buying the tycoon pack. If you have a tycoon pack now and you use the free tickets to produce one day, while the next day you hire workers to produce, on your first day, you would have made around 180'000 currency more. And that is the cost you would have paid for your workers, 150 workers x 1200 currency for each. So if you would have won 20'000 currency normally (it's an assumption), you won 200'000 currency by using free tickets. House prices are sold usually around their manufacturing price, which is equal to the cost of HRM and the cost of workers. If you use the tycoon pack and make a profit, the real profit is because you can produce more houses with the same number of employees. The work tickets you get, you can see them as you are paying money to buy them. They have no difference from normal work tickets you get from hiring workers. regarding the being able to work as a manager in own houses and aircraft companies proposed solution. I agree that it can solve the problem, but it will consume a lot of energy for producers. Energy, which they use to fight or work in other companies now. Also, bigger players and pack players who have more energy available would be able to work more than regular and new players. With workers, you can scale your business indefinitely regardless of your energy level and it is fair for both new and old players, pack-buying or no pack-buying ones. In fact, I am using several (4-6) real workers and working tickets simultaneously for a quite long period of time. Only when I hired a higher number of employees (+20), I've noticed directly I am loosing a lot of money on a daily basis and I can not support it for a longer period. So in order to control more my income/outcome, I've decided to limit to my workers being able to work only a twice day. Most of them decided to quit working for me so I was left at the end with my optimum number of employees with whom my production can function without any problem and my profits are steady enough for my other in-game activities. To sumarize my financial/economic/sales operations, I am not looking at the price/cost calculations in the detail, I am mainly looking roughly at my income/outcome as my indicator of the profitability. First of all, well done for thinking about and identifying a key problem with the economy module. Few people manage to do that, including some of those commenting. The issue with inflation is exactly as you describe. Since the introduction of housing, there has been more demand for workers than supply. This has caused an inflationary spiral. Prices are stickier than wages, and so generally the profitability of all industries is quite poor. In other words, whilst wage prices can easily and quickly jump as players compete over a global workforce, the price of weapons and houses is much slower to rise. This means despite high demand for weapons and houses, the prices are not rising in line with wage costs- or they do in jumps as the market is stripped bare of products. The problem with countering inflation is that it is extremely difficult to calculate exactly how many additional workers you will require. In addition, there is also a question around how you would manage the fluctuations in this number as demand rises and falls. 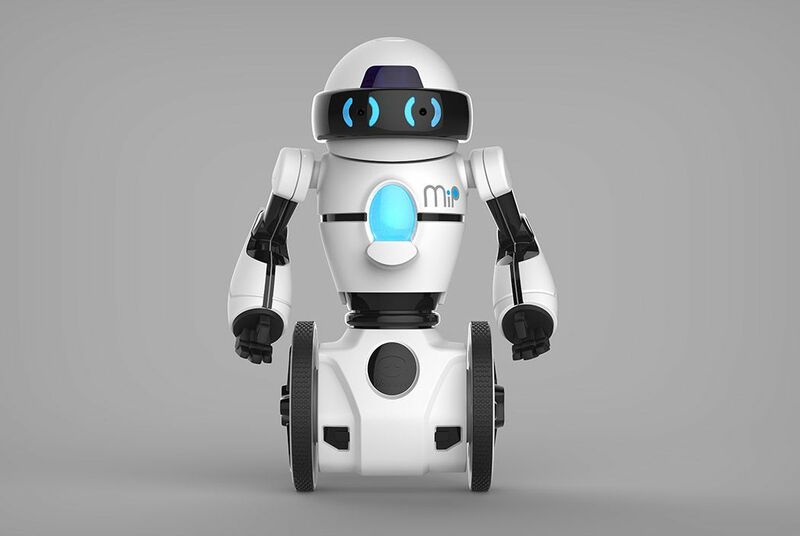 One solution as you described is to increase the volume of work tickets available, either by adding in direct purchase of work tickets (or robots as you call it) or by allowing players to buy and sell excess work tickets generated by housing. Whilst I think this latter idea is a good one, I don't know that it would provide a long term solution. Ultimately, the whole back-end of eRepublik needs revisiting to rebalance many of the formulas in the game. In general, the game should tend towards scarcity rather than abundance. It should be expensive to enter an industry. Q1 houses only require a measly 75g investment for a Q5 raw material company and 4 Q1 housing companies. At that level of investment, you can employ 8 workers a day (with no excess RM) - almost as much as a 1200+ Q7 weapon company. Companies should be more expensive, products rarer and more valuable, and workers more productive. Anyway, well done on thinking your way through this, it is really heartening to read. Thanks for all your kind words Spite. I agree with everything, especially the last part. The economic part needs more thought to make it more balanced and more enjoyable for players. This idea needs more thought from the admin side to try to evaluate its long-term effects. But I think it can be a good feature which can help balance the economy more than it is now. When hiring workers their salary is initially more than the profit from the houses but than salaries go higher, house prices go higher, and simply raising the salaries of the workers less than the market salary is enough to make the production profitable or at least to avoid loss. Personally I like the inflation because it makes possible to control the profitability of the production without having to decrease the salary. a little bit of inflation is needed I agree. That is why Central Banks in real life have positive inflation targets. 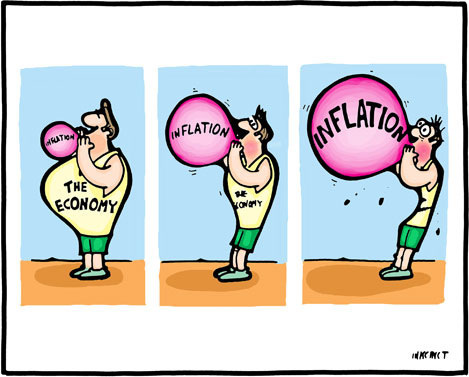 However, inflation should come from the interaction of supply and demand. Meaning the increase in house prices should come because houses are in demand, or there is a shortage of them. The inflation we face right now is because there is a lack of workers. Players own more companies than the total number of players who work. This will increase the salaries forever unless it is not dealt with. And if the salaries increase, the profit of companies will decrease, so they will have to increase prices. If demand for houses will decrease because of their prices, than some producers will stop producing houses and the salaries will stop increasing because less workers will be needed. But we didn't reach that point yet. Otherwise I agree and the problem of lack of workers should be solved by making the game attractive for new players. it's true, the demand for q1 houses is still strong. That is why we haven't reached the point where producers stop producing just yet. However, when I joined the game 4 month ago, salaries were around 800 cc, while q1 house prices at 3000 cc. That is a 3.75 ratio. Currently, q1 house prices are 6000 cc and salaries are at around 1250 cc. That same ration is now 4.8. It is increasing, meaning that prices are increasing faster than salaries. If that ratio goes higher than 8.4, q1 houses will become unprofitable to own. Only then the demand for them will fall. But by that time, people will be able to work even less, so worker supply will be reduced even more. Baby booms and adding new players to the game is a possible answer, but it is one that is more difficult and maybe more costly for admins than the introduction of a new game feature. Admins always want to solve everything in the cheapest way but finally the game won't be interesting without real players. They please the top costumers and don't need the others, this is admin's policy now. You haven't the business inside. Inflation here is way too fast. Back in the old days a company was a community vertical. Businessmen and employers were socializing. It was about playing with others. Then WaM came along. And it went more solopreneur from there. More automation, more individualistic play, less concern for others, more toxic decision-making. If "The PLATOÇ" left market itself (removing bots), market will find balance. Every external touch will create more mess! Nice analysis. In my opinion the admins ultimately can't avoid the question that if the game is not attractive for new players it will be not sustainable and long term investments like air program are futile. The game experience is just worse and worse every year and compared to this packs is quite expensive. You don't get the point. Inflaction is not caused by lack of workers. Tycoon players hire unlimited amount of employees to produce even more stuff...and they need to hire constantly because without hiring they can't make profit with tycoon. So, when there is an event, or Romania and Spain loose bonuses for exemple, or something who create inflaction in one production..q7 weps/q2 house/HRM etc etc..hiring at max world salary became profitable, so some players start to hire at that salary and everyone follow them, expecially tycoon buyers for the reason explained above. In this e-world with some many tanks, so many players full of cc, gold and companies, producing with employees and selling the same day, every day of the year, it is impossible. From now to the end of the game. Producing with employees can be profitable at times. This is certainly true during events or when some country loses its bonuses, but even during normal times. Currently, I produce houses paying at top world salary and I can still make a profit. And I have only 95% region bonus, with full pollution. Anyway, as you said, tycoon players need to hire a lot of employees. Since all the players can afford the 10 gold to start a housing company, the number of companies who require workers is increasing. That means that more and more players can afford to hire workers. So the demand for workers is increasing, while the number of players playing the game is not increasing. So the supply of workers is fixed. High demand and fixed supply lead to higher prices (salaries in this case), which after leads to higher product prices. If we assume that there were an infinite number of workers, then each player would hire as many as he would like to produce the houses he wanted. Since he could produce all the houses he wanted, he would not ask for extra workers, and so players would not compete for workers by increasing their offered salaries. Prices would be more or constant than what they are now, and the only inflation would be caused by normal supply and demand changes for that particular product. This is the way the economy works in real life and this is the way the game should work as well. At least if you want the game to be balanced.